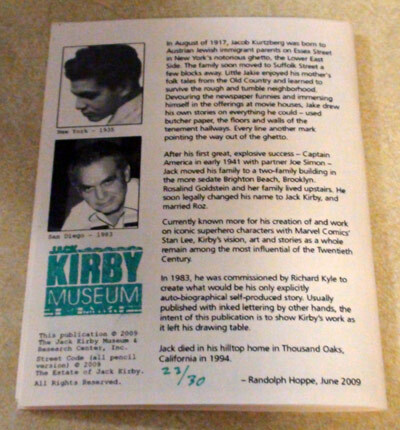 The point of the commission was for it not only to be an autobiographical tale, but it would also be reproduced directly from Kirby’s pencil art — not inked as it had always been. But, Kirby’s script was professionally lettered in ink on overlays. In 1990, Richard published Street Code in the second issue of Argosy, with lettering by Bill Spicer. In 2000, Street Code was presented in Jon B. Cooke’s and John Morrow’s book, Streetwise, with lettering by Ken Bruzenak. 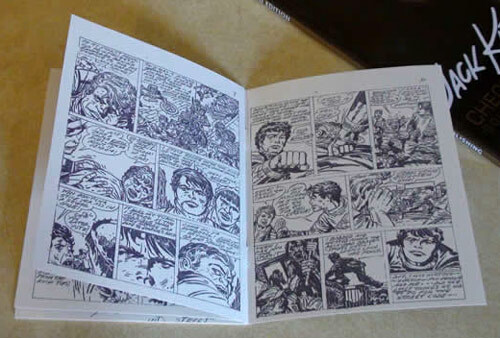 In 2008, Mark Evanier included Street Code in his “Kirby, King of Comics” book, with Spicer’s Argosy lettering. 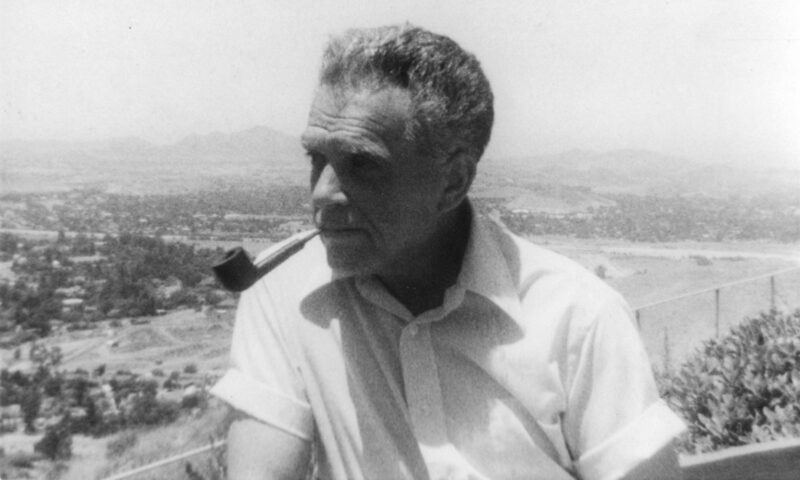 Within the last year or so, Kirby scholar Greg Theakston has gifted many of his Kirby papers to the Kirby Museum. Much of it still needs to be cataloged, but while browsing through a looseleaf notebook filled with photocopies of Kirby art, I discovered Street Code. What caught my attention was that these photocopies included Kirby’s own pencilled-in lettering. As Street Code is a favorite of many, myself included, I thought this would be a great choice for a mini-comic to offer at the MoCCA festival. I’m sure only a handful of people have seen Kirby’s hand lettering. It’s rough, but authentic. It’s a ten page story, so it easily fit into a twelve page booklet — leaving me to only have to produce a front and back cover. Again, James Romberger was a big help. Again with the fund raising! The Museum offered Street Code as a premium for the $40 annual membership, just like the first level posters. We also offered it as a $10 add-on to memberships. Maybe I’ll get it hooked up into our Paypal membership form. 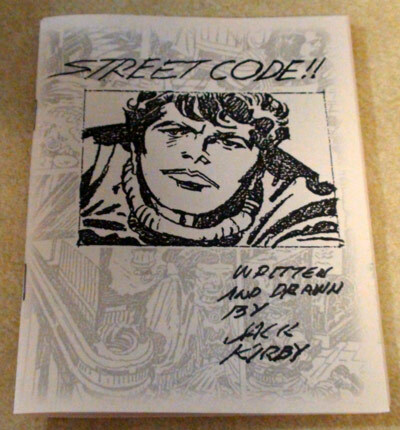 In 2009, the Kirby Museum published Street Code (all pencil version) in a thirty mini-comic edition, with Kirby’s own lettering.